Jain Day Baby Care provides customised daycare solutions to Companies. We are dedicated to providing high quality employer-sponsored early childhood education and daycare services. At Jain Day Baby Care, we develop daycare solutions for companies in India, so employees can be closer to their children, and watch them learn and grow. The center is specially designed with the best - of - the - kind childcare infrastructure, play equipment, games and other pedagogical systems. 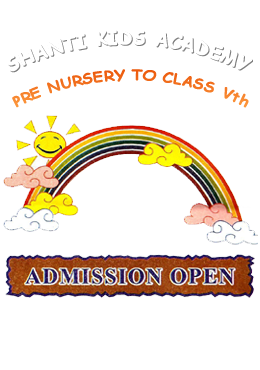 Shanti Kids Academy: It is being started with a clear vision of focusing the literacy rate in our country. We are providing such a learning environment for the children that you will be forced by yourself to send your kid in this school. No doubt, facilities being provided are more than enough but fees is -------- proportional to it fees of SKA is very reasonable that an average family can easily afford. Copyright © 2015 Jain Day Baby Care. All right reserved.